Lack of insight across multiple security environments. 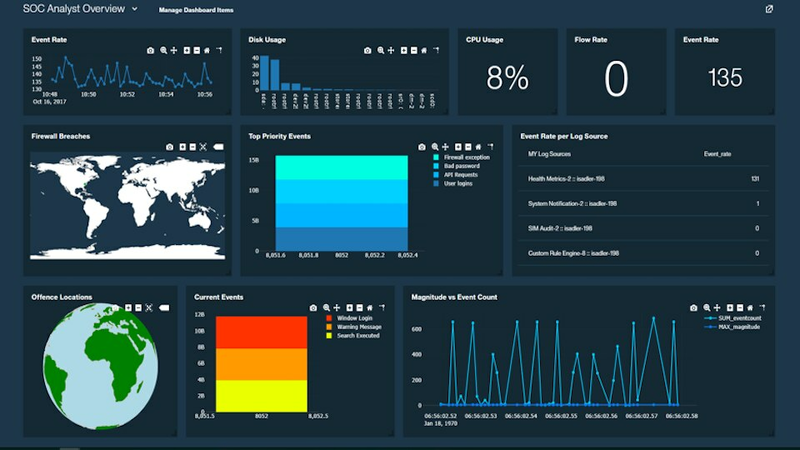 Gain centralized insight into logs, flow, and events across on premise, SaaS, and IaaS environments. Manual tracking processes take up valuable analyst time, and pull analysts away from doing other work. Centrally see all events related to a particular threat in one place, eliminating manual tasks so analysts can focus on investigation and response. Not enough resources or hours to be constantly watching for threats. 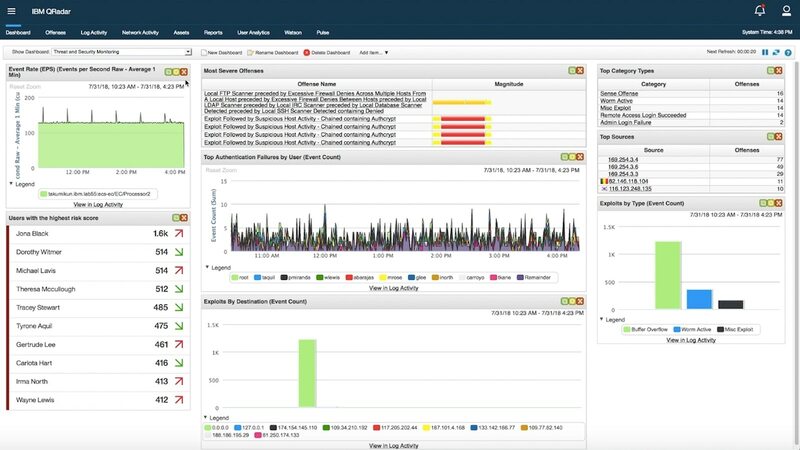 Out-of-the-box analytics automatically investigate logs and network flows to detect threats and generate prioritized alerts as attacks progress through the kill chain. Scaling out your security operations program over time, without requiring major infrastructure changes. Leverage the QRadar ecosystem to easily integrate with other solutions and quickly update capabilities. There is no specific hardware requirements page for this product. 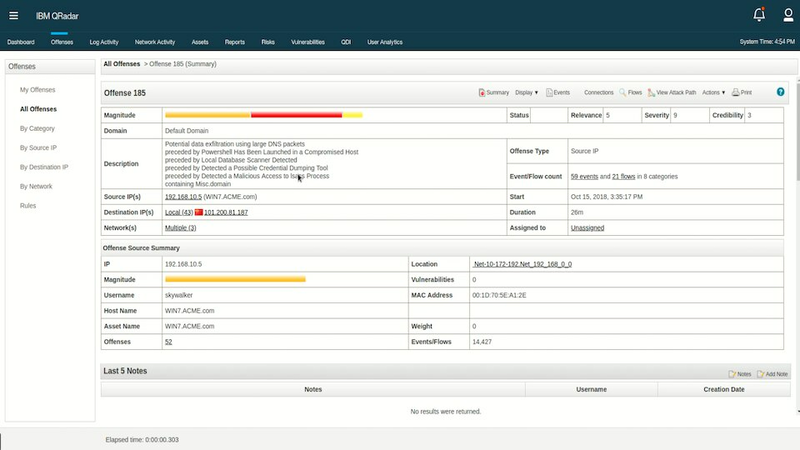 QRadar SIEM requires Red Hat Enterprise Linux (RHEL) Server 6.